Here is the old dresser. I had taken out the bottom two drawers years ago and added shelves. 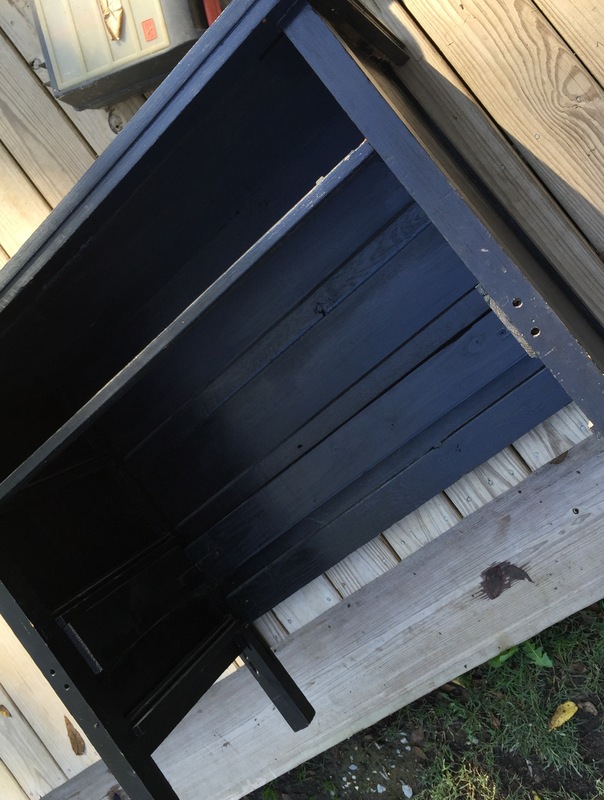 I painted it black as it went with a few of my other curbside finds when I was about ten years old! Yeah, that was some time back! I used to sit on a bar stool because I was so little and I didn’t have the experience of using a saw or power tools and no one to help me. I improvised; which was something I did a lot as a child. I wish I had pictures of the awesome playhouse I built out of old pallets. Fun times with imagination! Okay flash forward to the future. This “desk” was a side board for a bit, a table to house some books and knick knacks, and the latest; was used as a stand for an adorable fish tank. I wanted to create a space of my own where I could draw and didn’t have to “clean-up/put away” every time. I found a new place for my fish tank and decided to re-purpose the already re-purposed piece! I pencil marked where I needed to make the cut. 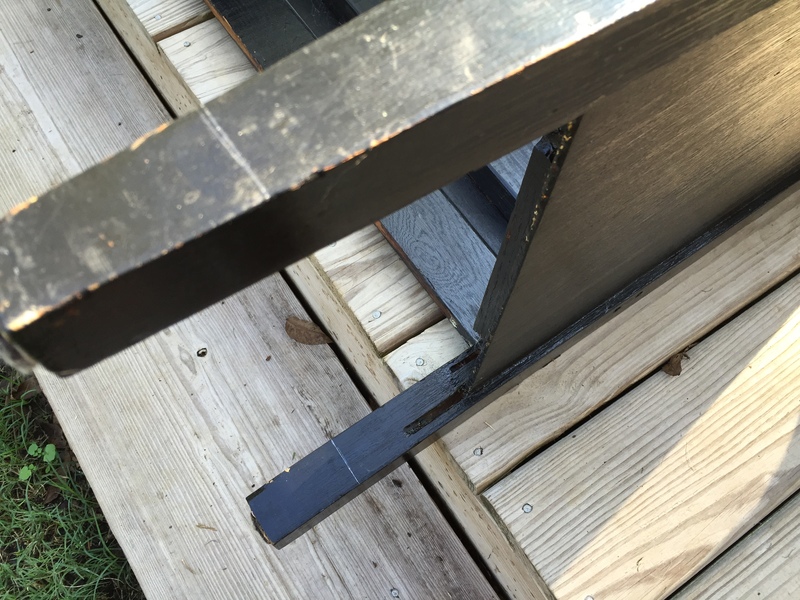 Got out my Ryobi jig saw and lopped off 3 inches so the desk would be more comfortable to sit at using a chair rather than a bar stool. I sanded the whole thing using 80 grit sandpaper and finishing off with 100 grit. After sanding, I gave the desk a good wipe down and double checked the height of the desk. I didn’t sand it all down to bare wood. I left some black to give the piece dimension. Let the fun begin…I simply took white craft paint and watered it down. Armed with a paintbrush in one hand and a sock covering the other hand, I set out to white wash the piece. Going along with the grain of the wood I painted long strokes and then wiped off the excess. Some areas I wanted it to be brighter so I just added more paint. Remembering to always go with the grain of the wood. Adding and rubbing away with the socked hand until I reached the coloring and effect I was going for. I decided not to seal the desk with wax or a poly. To me this wasn’t necessary. Not out of laziness, just not needed. However if you decided to do a project like this and choose to seal…by all means, do so! I figured I am not needing to “protect” it and perhaps in the future if I wanted to wash it over with another color I could easily do so. So basically what this is about is using something you already have in your home. I am making a point to NOT buy things I don’t really “need”. I really want less things in my life. And taking a table that was essentially sitting around not only made me be creative moving things around my home, it gave me a new piece of furniture that I can really put to use. Since remaking this desk, I use it almost daily! Now that’s what I call smart! And not having to spend money to do so was even smarter! Making a space for just you is important. It can be a corner of any room. A comfy chair to knit or read or a desk to create. A place where you can be you and do a project or craft or read or simply look out a window. A spot where you can breathe again. I need to breathe again and this little area helps me to do just that. I can breathe and sort through my thoughts in my tiny creative space. I hope you make a space of your own. It’s important. YOU are important. Remember that! You, my followers, are in my thoughts. Take care and may peace follow you. 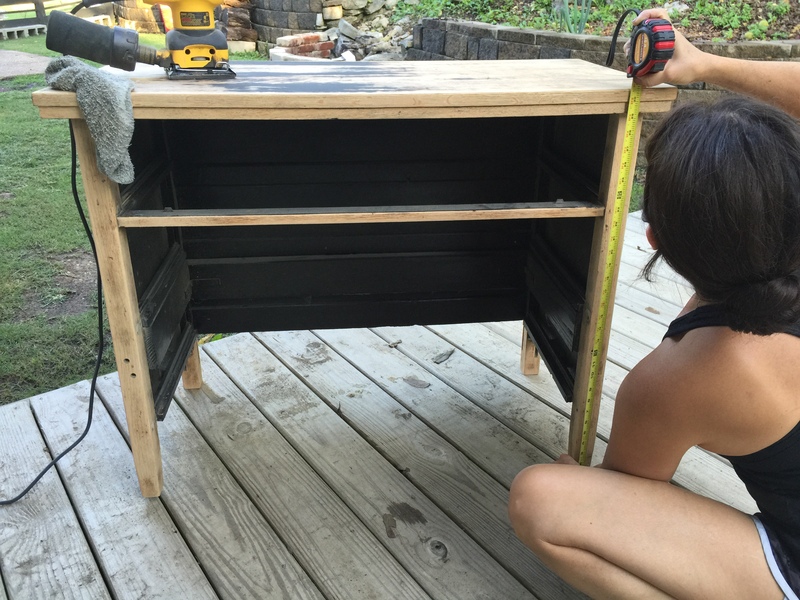 This entry was posted in Inside Stuff, Projects and tagged Desk, diy, Dresser, repurpose, reuse by atkokosplace. Bookmark the permalink. I have read A LOT of blog sites and have never come across one as versatile and productive as yours. I love what you make for yourself as well as your furry friends. They are very fortunate to have you in their lives. Love this, great job! We just recently re-did our home entertainment center. I’m pretty addicted. I can’t wait to get my hands on more furniture. Ha! Awesome job! I really love upcycling! Way to go Koko! You never ever cease to amaze, or fail to entertain, or fail to teach, me something. You are very welcome! This is just my way of freshening up my space without having to buy anything! Hahaha. Have a beautiful day! 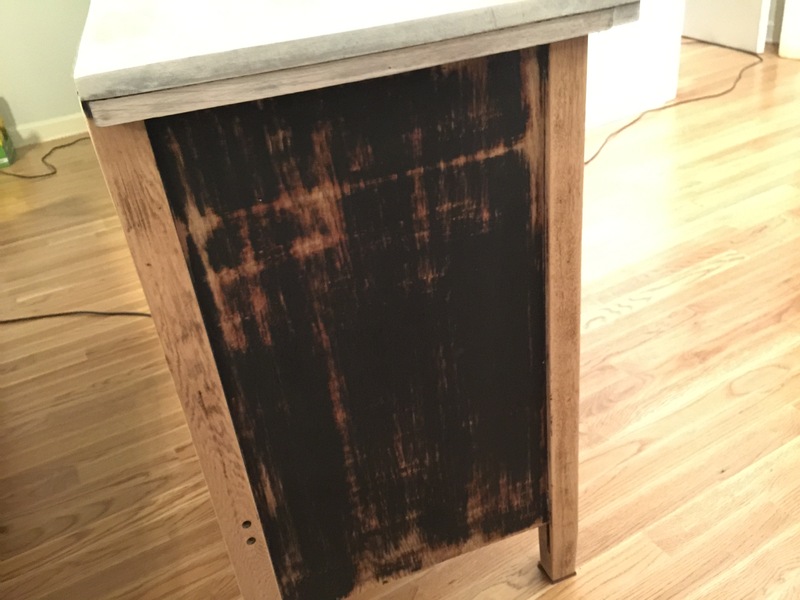 Awesome…….love,love,love ,making something new out of something old! Am in the process of helping some friends go through an old general store/grain mill filled with old stuff. Some useful stuff, and somethings that need some ‘vision and a lift’ to make it to it’s next place. I truly love the innovation of seeing something in a piece that risks being tossed. Fine work you’ve done with your desk! breathing new life into something old, the best! You’re so handy, Koko. I wish I had even a quarter of your skills. You could make a business out of what you’re doing. Great tips for sustainable living. Thank you. Everything has purpose (except mosquitoes, IMO, lol). It’s for us to find the beauty and usefulness in them. You’re doing that so wonderfully. I wish I were this crafty! You are so creative. This is amazing. I feel like it can also be used in a hallway with a lamp or maybe some special photos to fill that awkward space. I love this idea! Thanks for the encouragement!! I have a 2bd/2ba apt but the rooms and baths are separated from everything else by a long hallway…maybe I can get Eileen on board and together we can do this project! Amazing idea! Thanks for the inspiration Koko! I agree that that the black gives it perspective. You have a clever eye! Awe, thanks Helen! I really love it. And the change in color fits nicely with what I’ve got going on. It’s great to see you here and read your thoughtful comment. Hope your fall is spectacular! Lots of rain here, but I love it! Take care! This is beautiful!! You did a great job! I love that you’re not afraid to use power tools!! Hi Katie! I’ve owned too many homes that needed fixing up for me to be afraid! You do have to respect the tools and safety always. It sure makes the job easier! Thank you for stopping by. It means a lot! Happy Halloween! Love the desk! Looks super cool. Hehehe! Thank you! 🙂 Have a happy week! I’m happy you liked it! Have a wonderful day! Cheers! Lovely solution! And what a beautiful way to repurpose — again. That’s so creative! I’ve been needing a sewing desk and I was thinking about DIYing it. I’m so glad I found your blog! When I find it, I’ll totally blog about it and post your website as a reference. I am so pumped! This is adorable! I love this idea! It’s always nice to have a space to draw and now have to worry and cleaning up if you don’t want to. Your are welcome hun! I just got internet back recently. You take care also hun. So cool, Koko! I love to see and learn what you make. That desk looks great. I wish you a peace and a wonderful weekend! Very creative. I adore what you did with the old dresser. Now it’s a lovely desk. This is a fantastic idea, I love this. Aww that’s really nice of you to say!! You have a pretty fabulous blog as well and I look forward to being a regular on here!! You take care also and nice to meet you! 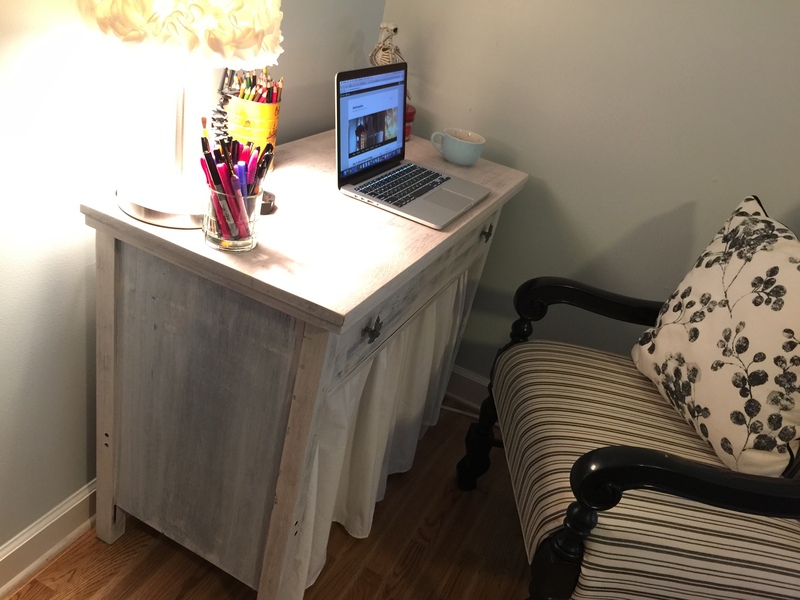 You have some amazing Diys on your blog! !